TOKYO -- Toyota Motor Corp. reportedly plans to launch two variants of its Prius hybrid in the United States by 2013 as it ramps up plans to leverage its gasoline-electric drivetrain technology to meet stricter emissions standards. One of the new hybrids will be bigger than the Prius, the other smaller, The Wall Street Journal reported, citing unidentified dealers who attended this week's national dealer conference in Las Vegas. Toyota executives briefed dealers about the plans to roll out the new models. The smaller hybrid will be about the size of the Yaris compact, the report said. The larger one will have about 50 percent more interior space and storage than the Prius. Toyota has previously said it will launch a Yaris-sized hybrid and recently announced that it would begin building a new small hybrid in France. The world's leading maker of hybrid vehicles is also widely expected to introduce a hybrid minivan, also based on Prius technology. After the dealer meeting, Toyota issued a press release pledging to expand its lineup of hybrid, plug-in hybrid and electric vehicles in the United States. A separate statement issued at the same time announced that worldwide Prius sales have surpassed 2.01 million units since the car first went on sale in Japan in 1997. U.S. sales began three years later. 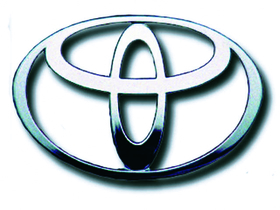 Toyota made “hybrid” a household name with Prius, by far the world's best-selling gasoline-electric car. The technology will help Toyota comply with more demanding emissions regulations in the United States, Europe and other markets. But to achieve volume and cut the costs of its expensive battery and motor systems, Toyota has been licensing the technology to rivals. Toyota aims to sell 1 million hybrids a year as early as possible this decade and wants to offer a hybrid version of each model it markets in the 2020s. The automaker is also aiming for U.S. sales of 2 million units by 2013, the Journal said, citing a person it didn't identify. Toyota's U.S. sales totaled 1.77 million in 2009, down from 2.2 million in 2008. The automaker's combined U.S. sales of Toyota, Scion and Lexus models are up 1 percent to 1.3 million through September in a market that has advanced 10 percent from last year's 27-year lows. Separately, aiming to restore customer trust after a recall crisis, Toyota is launching two new U.S. service plans that will come standard with Toyota and Scion brand vehicles. Called Toyota Care and Scion Service Boost, the plans will immediately offer free factory scheduled maintenance and 24-hour roadside assistance for two years or 25,000 miles, whichever comes first, the company said in a statement Wednesday.